After the terms are agreed, both parties post a certain percentage of Bitcoin as collateral. Because this collateral cannot be moved until both parties sign off, one party cannot deceive and act inappropriately. When the rate is fixed on the fixing day, a neutral third party called the Oracle, broadcasts the Bitcoin rate. Based on this rate, the BTC settlement amount for both parties is determined. From this amount, the posted collateral is distributed back to each person. 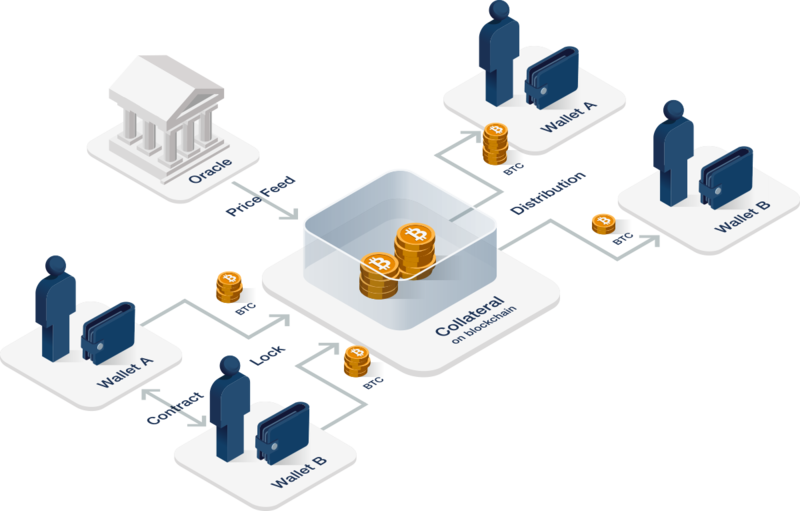 This entire flow is all cryptographically secured and no one can receive the BTC illicitly. This structure enables a derivative to be traded that minimizes counterparty risk. Copyright © 2019 Crypto Garage, Inc. All Rights Reserved.